I woke up this morning still drunk from the night before, which is a first for Australia! Went for breakfast about 8am then went straight out for a surf at Arrawarra. 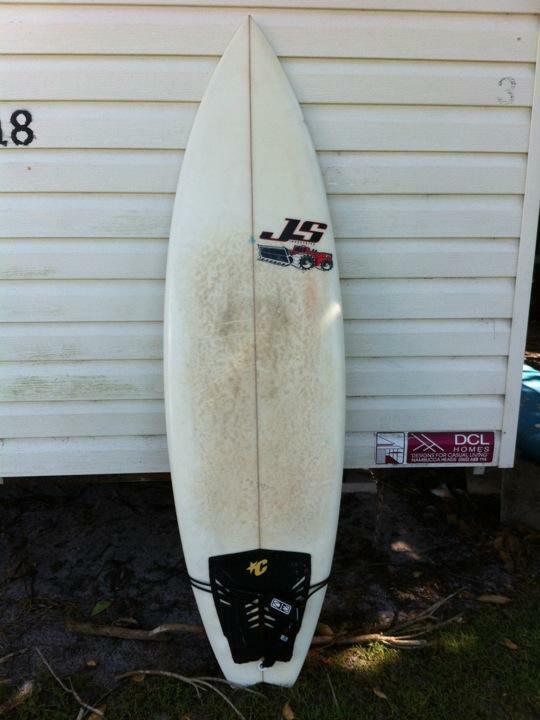 It was a super fun 3ft and clean peeling really nicely, lefts and rights. Really enjoying using my new board, it's brilliant, put a couple of pressure dings in it though unfortunately. After lunch I went with Paul, Joja, Lessen and Val for a walk round Arrawarra headland. Was pretty cool sitting and watching the waves wrapping round and breaking on the point. Everybody was weighing up wether to go surfing again or not in the afternoon as it didn't look too great. In the end we all went out and had a great time. It was 1-2ft and clean, with the easiest paddle out ever. Rens came out for the second session with his camera and got some really cool shots from the water! I have stolen about 130 of his photos from our time at Spot X so that's good too. We sat around chatting for a little while but then everyone was just too tired and went to bed instead..